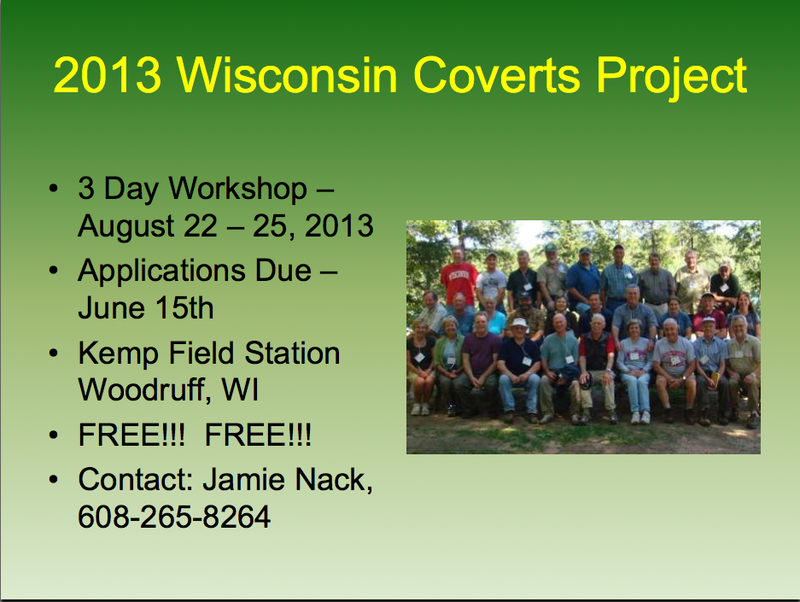 Coraopolis, PA – The Ruffed Grouse Society (RGS) has selected 15 projects to receive over $58,000 during 2013 through its Wisconsin Drummer Fund program. The projects are designed to benefit habitat for ruffed grouse, American woodcock and other wildlife species that rely upon young forests for survival. Partners receiving RGS funding for projects in Wisconsin in 2013 include county forestry departments in Douglas, Florence, Marathon, Oconto, Washburn, Wood, and Vilas Counties, and the Wisconsin Department of Natural Resources (DNR). Other partners providing support for these projects include the American Bird Conservancy and the U.S. Fish and Wildlife Service. The Wisconsin Drummer Fund was initiated in 2010 and is the direct result of funds being raised specifically at Wisconsin RGS chapter fund raising events and through direct member donations. Since its inception, nearly $157,000 has been made available through the Wisconsin Drummer Fund to support 40 Wisconsin grouse and woodcock projects. These funds have been matched by other agencies and organizations and have resulted in over $350,000 worth of projects being funded in Wisconsin since 2010. Improve your property for Grouse and Woodcock. Here's an informative Power Point from RGS Coordinating Biologist Gary Zimmer that this info was taken from.